Oregon was ranked the third most energy efficient state in the nation. The American Council for an Energy-Efficient Economy (ACEEE) released its annual State Energy Efficiency Scorecard this month. Oregon tied for third with Vermont and Rhode Island. Massachusetts took first for the fourth year in a row, followed by California. Oregon provides a variety of financial benefits for energy-efficient investments, and several research centers that focus on energy efficiency, according to The Statesman Journal. ACEEE is a nonprofit based in Washington, D.C. that works to advance efficient energy policies, programs and technologies. 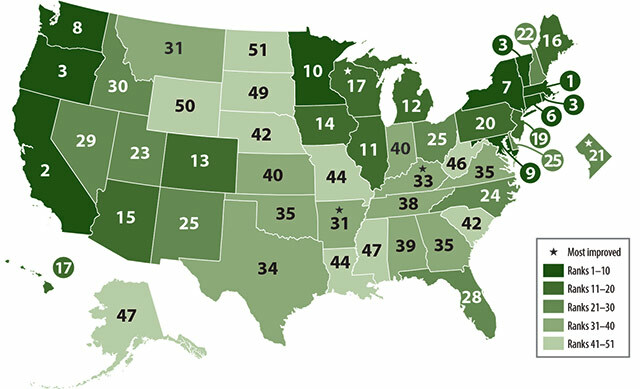 This is the eighth year they have ranked states’ energy efficiency.